Carbon capture and storage, CCS, is an important part of reducing CO2 emissions into the atmosphere, and reaching international climate goals. A new project lead by NGI will look at the best way to monitor future storage of carbon. Safe and effective capture and storage of carbon (CCS) is a vital step towards meeting the global climate target as defined in the Paris Agreement, which was signed in December 2015. The CCS chain consists of well-proven technologies that capture, transport and store CO2 from either fuel combustion or industrial processes, which is then transported to be permanently stored underground. Environmental monitoring targeting the seafloor and water column above the reservoir, is required in order to promptly detect potential signs of unintended CO2 migration. "NGI has taken on the role as project leader for the new ACT4storage project. The goal is to contribute to more reliable and cost-efficient solutions for environmental monitoring of carbon storage. 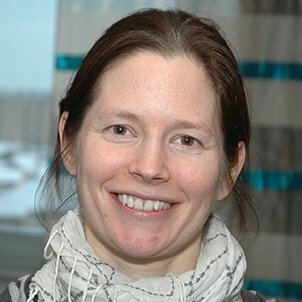 An important part of this is to understand the natural variability of CO2 in the marine environment, and how to reliably detect anomalies in this very inhomogeneous environment", explains Ann Elisabeth Albright Blomberg, project leader and project engineer with the section for Instrumentation and Monitoring at NGI. The state enterprise Gassnova contributes to finding solutions to ensure that technology for capture and storage of CO2 can be implemented and become an effective climate measure. Through the CLIMIT research programme, Gassnova grants financial support for development, demonstration and piloting of CCS technologies. The Research Council of Norway is responsible for the research aspects of the programme. NGI hosted a kick-off meeting for the team members of the ACT4storage project in Oslo on Monday 14th May 2018. The industry, operators, universities, research institutes and technology providers, came together for the first time. Representatives from Equinor (formerly Statoil), Total, Kongsberg Maritime and Franatech GmbH were present at the kick-off, as well as project partners from NIVA (Norwegian Institute for Water Research), CMR (Christian Michelsen Research), The University of Oslo, the University of Bergen, and FFI (The Norwegian Defence Research Establishment). "By combining expertise from two of our core groups within Environmental Engineering and Instrumentation & Monitoring, we can contribute to the future success of carbon capture and storage, which is so important for the global climate," said Thomas Langford, Director of Offshore Energy at NGI when addressing the attendees at the kick-off. Participants at the kick-off meeting at NGI on May 14th. NGI's project leader, Ann Elisabeth Albright Blomberg, front row to the the left. The ACT4storage project combines different chemical sensors with a wide range of active and passive acoustic technologies for smarter and more cost-efficient environmental monitoring. NGI has already gained significant experience from a previous marine leakage detection system built in 2012, which identified the importance of understanding the marine environment and taking natural variations into account when analysing the measurements. "In the context of environmental monitoring of geologically stored CO2, acoustic and chemical sensors complement each other nicely. Chemical sensors are point sensors, with the ability to detect dissolved CO2 in the water column and to quantify the CO2 concentration. Active acoustic sensors come in many different shapes and forms, but generally cover large areas and are capable of detecting bubbles in water. We believe these technologies should be combined for cost-effective, reliable monitoring", says Ann Elisabeth Albright Blomberg. Through the ACT4storage project, the project team aims to gain a better understanding of relevant acoustic and chemical technologies applied to environmental monitoring of geological carbon storage. The results are intended to help operators make the most of available technologies, by maximizing monitoring performance while minimizing the number of sensors and costly operations. The project will be concluded in the end of 2019. The research project "Acoustic and Chemical Technologies for geological carbon storage", ACT4storage in short, has the overall goal to ensure reliable, cost-effective environmental monitoring of carbon storage through smart use of existing technology. Equinor (formerly Statoil), Total, Kongsberg Maritime and Franatech GmbH are project partners, together with NIVA, CMR, The University of Oslo (digital signal processing and image analysis), the University of Bergen (offshore verification), and FFI the Norwegian Defence Research Establishment. Carbon Capture and Storage (CCS) is a technology that can capture up to 90 percent of the carbon dioxide (CO2) emissions pro¬duced from the use of fossil fuels in electricity generation and industrial processes, preventing the carbon dioxide from entering the atmosphere. There are currently 21 carbon storage sites in the world. Two of these are on the Norwegian continental shelf, at Sleipner and Snøhvit, and are operated by Equinor (formerly Statoil).